Buying a home is a large investment. An investment you’re going to want to protect. As a part of protecting your investment, there are inspection contingencies (also known as due diligence contingencies), which offer buyers the opportunity to inspect the home before moving forward with the purchase. A home inspection is one of the most important steps to buying a house. During the inspection there are some crucial things you have to keep an eye out for and the electrical inside the house is one of them. Whether you’re buying a fixer-upper or a turn key property, there are certain signs that the electrical within the home may need an electrician’s inspection before moving forward. We’ve put together a list of signs to look for when considering if your buyer needs an electrician’s help during inspection. One of the first things you should do when inspecting a home during the due diligence period is to check out the main panel. If there are any signs of damage to the main panel, then this is going to warrant a call to an electrician to inspect it more thoroughly. The main panel is the nucleus of the home’s electric source. Everything connected to the main panel should be properly labeled so you know where the source of power is heading. One of the first things to look for when inspecting the electrical, and not always the easiest to find, is damage to the wiring in the house. Damaged wires can pose all sorts of problems for you, including the potential for a fire. We come in to contact with wires every day, whether it’s our headphones, our laptop charger, or charger for our phones. It’s likely you can recognize what a damaged wire covering looks like. The wiring will be exposed and this is a concern your buyer needs to have addressed. Dimming or flickering lights is one of the most common signs and could be an indication of an overloaded circuit. It doesn’t necessarily mean there is a problem, especially if the dimming or flickering only occurs when other electrical sources are turned on. This may just mean they are pulling amps from other places. If there is a steady dimming or flickering, though, than it may warrant a closer look. It could be faulty wiring or a problem with the circuit breaker. Have you ever flipped a switch and as the lights come on you begin to hear a loud buzz? This could mean a number of things and it’s most likely faulty wiring or a broken circuit. This is something that you’ll want to consult a specialist about. If you neglect to fix this problem it could prove more dangerous in the future. The electrical is not something you want to mess around with when purchasing a home. When flipping on switches, if you feel a buzz, shock or tingle this may mean that the ground fault interrupter is not working correctly, or that the wiring may be off. You will want to consider adding GFI’s (ground fault interrupters) which will prevent you from being shocked. These are definitely something you’ll want to consider adding if you’re buying a home built before 1990. One of the jobs of the home inspector is to check the outlets inside the house. If one of the outlets doesn’t work you will want to investigate. Additionally, the home should have three pronged outlets (if built after 1970) and if the home only has two pronged outlets you will want to consider having it switched. Having an electrician come out to inspect the home for your buyer is never a bad recommendation when considering the hundreds of thousands of dollars it costs to buy a home on average. 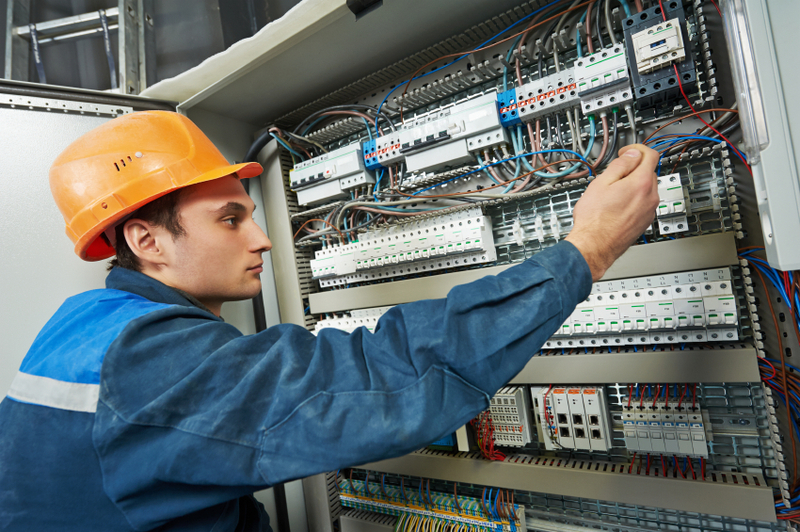 You want to protect your investment and having an electrician inspect the home is a great way to do so!